This is NA Fellowship-approved literature. All rights reserved. Copyright © 1976, 1986 by Narcotics Anonymous World Services, Inc. This NA website was created by addicts for use by addicts and is maintained by addicts. Anyone may join us. We have no initiation fees or dues. We decline outside contributions lest problems of money divert us from our primary purpose. We hope this site is enjoyed by all who come here. Stay as long as you like. Visit us often because we keep changing all the time. Keep coming back! 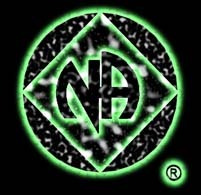 "The Chinook Area of Narcotics Anonymous is a nonprofit, self-supporting fellowship of recovering addicts who meet regularly to help each other stay clean (drug-free) by following the 12 Steps and 12 Traditions of Narcotics Anonymous.Our geographical area covers all of the southern part of the province Alberta and south eastern part of the province of British Columbia in Canada. We are proud and grateful to be supportive and supported members of the ALSASK Region of NA as well as the Canadian Assembly ( CANA-ACNA) of NA." Middlesex County Area, New Jersey of Narcotics Anonymous is proud to welcome you to our Internet Website. We are constantly adding new features, as well as updating the current information. 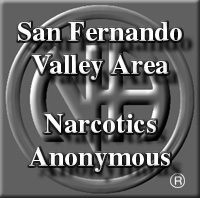 We invite you to use the links to the left to explore all the information we have made available about Recovery in Narcotics Anonymous.